Started The Growers Exchange in 1985. 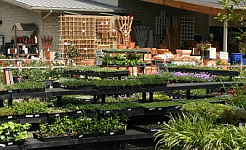 An urban garden center in the Carytown shopping district. 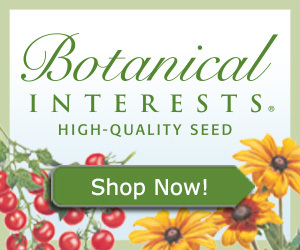 Began growing in our Charles City greenhouses, supplied our own store and wholesale accts. At this time we grew mostly flowering plants; herbs were a spring crop only. At the time there was low demand for herbs. In 2005 the store was closed and we began The Growers Exchange.com, an online herb nursery. Has managed a 600 ac. farm since 1995, keeping cows, chickens, etc. Also have 2000 tree fruit orchard. Lemon Verbena is an aromatic herb with a sharp lemon scent that is great in lotions, baths and potpourris. As a culinary herb, Lemon Verbena makes a terrific tea and seasons fish, poultry, rice and jellies nicely. inch the tips back to keep your encourage new growth and keep your Lemon Verbena bushy. Also, check beneath leaves as this herb is prone pests like spider mites and white flies. Add a little lemon zest to your favorite recipes with Lemon Verbena from The Growers Exchange! Visit our site for great information and blogs on how to grow and use this flavorful herb. 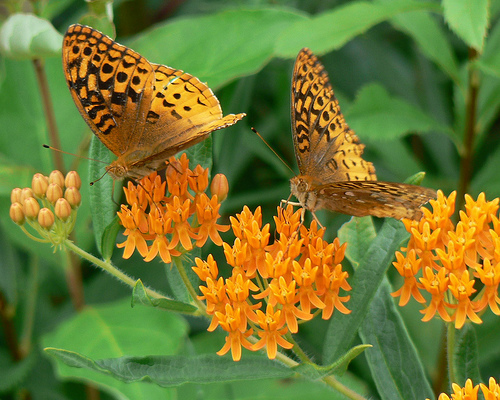 Such a butterfly magnet, its common name is "Butterfly Weed" but this beauty is definitely not a weed! Order from The Growers Exchange in the early spring and enjoy this bountiful bloomer summer through fall! 'Tuberosa' also has medicinal value as an expectorant, makes a great cut flower and can be container planted for patios or transition indoors. Lemon Grass has a light, lemony taste that compliments meals requiring a lemon flavor, without the acidic or bitter after taste. It also has anti-fungal and antispasmodic properties that lend many uses as a medicinal herb. Grow in a pot or container in a sunny spot indoors and enjoy this delicious herb all season long! The inner, white part of the stalk is best for seasoning delicate dishes, while the tougher outer green half is best used in recipes like soups and stews. Order some from The Growers Exchange today, and read our blogs on how to easily grow and prepare it! 'Silver Drop' Eucalyptus is a great aromatic herb and has a lovely small, silvery leaf . These stems work well in any arrangement and can be used both fresh and dried. Add this great filler to your flower garden - works well with all cut flowers and ornamental herbs. Medicinally, the essential oils from Eucalyptus 'Silver Drop' are used to relieve respiratory and sinus congestion and infection, rashes, sores and asthma. These oils are also used in deodorants,bath oils, shampoos and in Aromatherapy products. The plant also works as a garden plant, both in the ground or in a container. It can be brought indoors to winter over. Eucalyptus enjoys the sun! Order some from The Growers Exchange and we'll ship it to you, healthy and ready to plant, just in time for spring! An aromatic border to any walkway or garden, the Alpine Strawberry is a delicious culinary herb with berries that can be eaten off of the vine or leaves that can be brewed into tea. The plant can be used in many various medicinal ways as well and is high in Vitamin C and antioxidants. Sweeter but smaller than the cultivated variety found in grocery stores, buy some from The Growers Exchange today! Holy Basil has a long tradition of use in Ayurvedic medicine and is a well-known sacred plant, a respected medicinal herb, of the Indian subcontinent. Green Holy Basil, also known as Ram Tulsi, is a green variety of basil with the same attributes as Red Basil: as a medicinal herb it is used to prevent colds and flu, and cleanse the respiratory system of infection. The oil is used as an antioxidant, relieving aches and pains. In India, Hindus grow Tulsi as a religious plant in their homes and temples and use its leaves in routine worship. One of our most popular herbs, buy some from The Growers Exchange today and enjoy this delicious, sacred Basil in your home. 'Citrosa' is claimed to keep mosquitoes, black flies and other biting insects at bay and its refreshing citronella scent and ease of culture make it a worthwhile herb to grow. Leaves can be used in potpourris, perfumes and flavoring preserves. Highly aromatic, this herb looks great when grown in a pot or container which will also help contain its quick spreading growth. Brushing your hand along its leaves will release the sweet citrus scent. Order some today from The Growers Exchange and read our blogs on how to use this wonderfully scented plant! A very aromatic herb, Patchouli is used in lotions, candles, perfumes and other scented products. Also a natural insecticide, plant Patchouli in your garden or use it in your closet to keep unwanted bugs away.Used traditionally for its antibacterial and anti fungal properties for medical purposes. You can buy live, healthy Patchouli from The Growers Exchange at any time and we'll ship it straight from our greenhouse to your door, just in time for spring! White Sage is best known as the preferred sage for drying and burning to cleanse a home or area of negative energy. 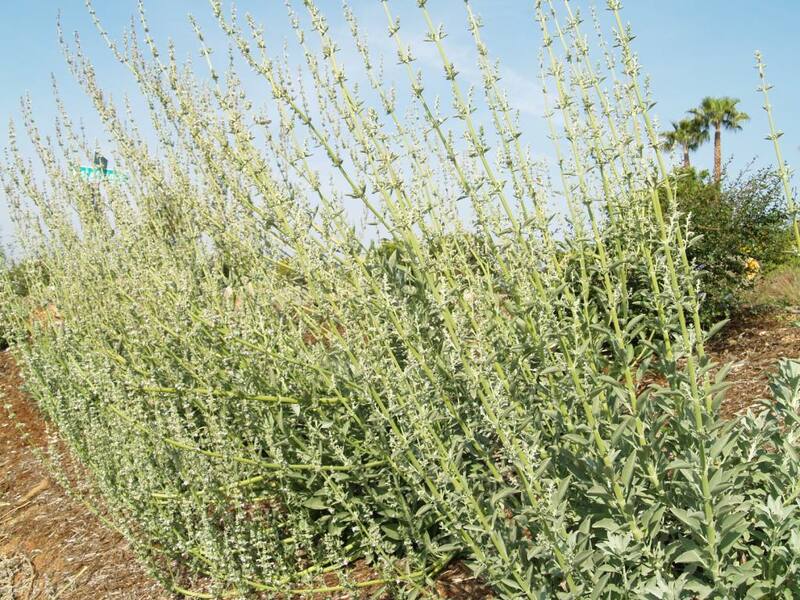 Traditionally White Sage was thought to possess purification powers because of its aromatic smoke when smoldering. It can also be used medicinally to make teas that aide in digestion. White Sage is also great as a Ladybug repellent! Try crushing the dried leaves and sprinkling them around plants and windows to prevent an unwanted invasion. Check out our website for more information on White sage or buy some from The Growers Exchange today! Stevia is a naturally occurring sweetener that is 300 times sweeter than processed sugar. Though Stevia is similar to sugar and can be used to sweeten many foods and beverages, it is not recommended as a replacement when baking, as sugar produces a different chemical result than if Stevia was used. Lower your sugary caloric intake by switching to Stevia for a natural sweetener. 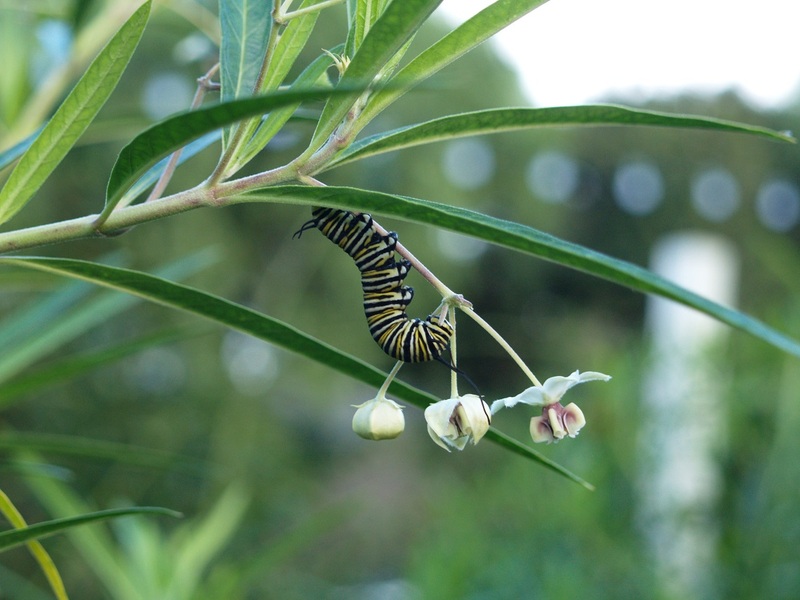 Read more about this wonder herb and buy some from The Growers Exchange today! Comfrey is a highly useful herb for the organic gardener! The plants grow quickly and produce four to five pounds of cut foliage per plant, which is very rich in mineral content. This foliage decomposes quickly and makes a highly effective, all natural liquid fertilizer. Also a highly valuable medicinal herb, Comfrey is also known as "Knitbone" as it helps heal bruising and mend broken bones. Buy some from The Growers Exchange today and start healing yourself and improving your garden-the natural way!